It's always a struggle for authors to engage their readers in a true discussion. In between books, what do readers and authors really have to say to each other anyway? 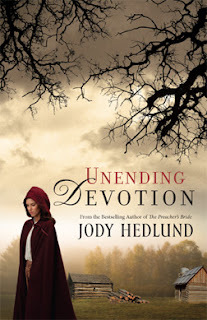 Michigan author Jody Hedlund has always done a great job encouraging reader participation on her blog. But this latest development really blew my doors off. Hedlund's publisher, Bethany House, actually let her readers vote on a winning cover for the next book, from three choices. I know that some of you are beating your heads against the monitor right now, saying: if only I could have a choice between three covers! But isn't this cool? Her readers chose the top one from the three on her blog. Hedlund received more than 100 votes. This is a great idea! My tween book, Stained Glass Summer, also had a choice between three covers which I saw. I wish I'd thought to put it out to my blog readers for a vote! Jody really does a fantastic job of communicating with her readers. I believe she's tireless! And I think her readers chose the best of the three covers. @Petrea--I like their choice, too! Jody does blogging well. Her posts are relevant and she very approachable. Jody's readers chose well I think.